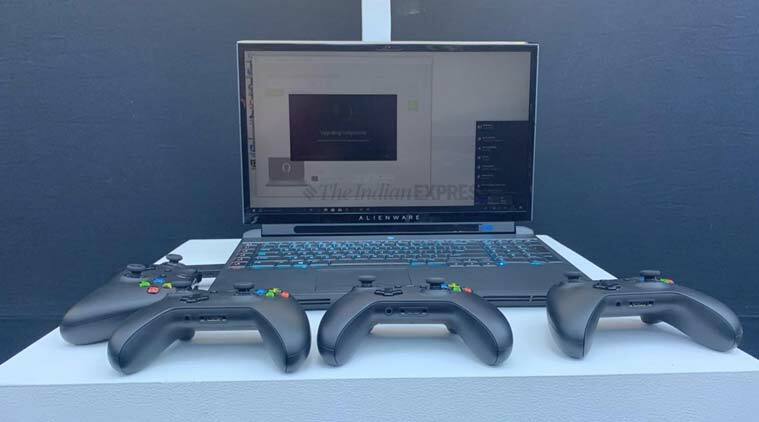 Dell's Alienware has launched the Area-51m laptop in India, which the company claims to be the world’s most powerful gaming laptop ever. Users can swap out and upgrade both the graphics card and processor. Dell Alienware Area-m51 customisable gaming laptop launched in India, starts at Rs 299,590. The Area-51m is based on a futuristic “Legend” design language, and boasts of customisable lighting across various zones, including the power button. The 17-inch machine comes with configurations for Intel’s ninth-generation desktop Core i7-9900HK 8 core CPU, making it the first notebook with that configuration. The laptop also packs support for up to Nvidia GeForce RTX 2080 graphics, the fully unlocked version of the desktop graphics card. There is support for 2.5Gbit Ethernet wired-networking, and up to 64GB of RAM. Alienware says the Area-51m’s keyboard gets 2.2 mm of travel and that the whole device will come in white and black colour finishes. Speaking of battery, Alienware says the Area-51m will get around 3.5 hours of battery life on average. Other than the Area-51m, Dell also launched the 15-inch m15 gaming notebook. This notebook comes with 8th-gen Intel mobile CPUs up to an Nvidia RTX 2080 graphics card. At 2.16 kg & 17.9mm thinness, it is 30 per cent smaller and 38 per cent lighter than the current 15-inch Alienware laptop. The Alienware m15 starts Rs 178,399 and is available to buy on Dell India’s official website. Lastly, Dell has also updated its G series by adding the 15-inch G5 15. Thus more budget-friendly gaming laptop with up 8th-gen Intel mobile CPUs, 1080p, 60Hz, IPS displays with the option for G-Sync and a 144Hz refresh rate, a keyboard with numpads and an option for customizable RGB backlighting. The notebook is thinner and lighter, and has narrow bezels around the display. The Dell G7 15 starts at Rs 157,399.